Got to tell ya, Vermont has some pretty good micros including one of the best IPAs I have ever tasted. The Alchemist Brewery used to brew several good beers but Irene wiped out the main brewery in Waterbury. But, just down the road from Ben & Jerry's is the Cannery that brews and cans 4-packs of 1 beer, Heady Topper, a big double IPA that is to die for. They suggest you drink it from the 16 oz can to not waste the hoppy goodness but it doesn't matter how you drink it, it is one of the best IPAs available anywhere. Along with this beer, there are plenty other good ones here like Long Trail, Harpoon, and so on. So far this week this is what I have sampled, which are not all from VT.
And I have another day to sample more before coming home. This week in Stowe VT was amazing for a summer vacation in March. It has been warmer here all week than it usually is in the summer time. It was 87F yesterday and we Snow Shoed bare chested as well as hiked today in Wiener Woods with nothing but pants and boots. Barely a cloud in the sky all week and we have had our windows all wide open the whole week. Just gorgeous here at Trapp Family Lodge on Stowe Mountain!!! Vermont sounds like a great place. It was nice last time I visited there which, unfortunately, was probably about 30 years ago. Also, Vermont is the constituency of Sen. Bernie Sanders, one of few members of US Congress who tells in like it is and isn't a total lackey of the plutocracy. Kudos to Vermont voters. Meanwhile beer fanciers here in my home province of Ontario don't lack for breweries, large and small. See the Canadian Beer Index. Or check out Ontario Craft Brewers site. Typically Canadian beers are slightly stronger and a fair bit less fizzy than US beers but it's hard to generalized in today's marketplace. I'm not a connoisseur or a really big beer drinker for that matter, but my favourite brew for quite a while had been Sleeman Honey Brown Lager. Mmmm....beer, this is my kind of thread. 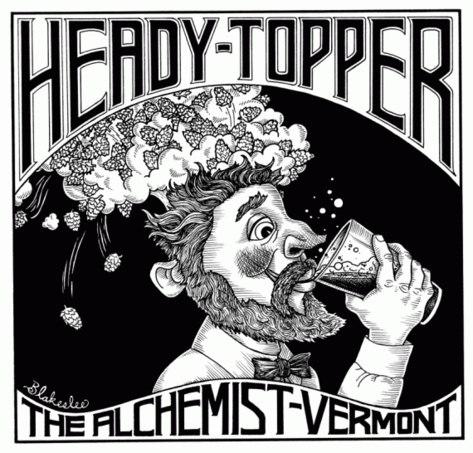 It would be cool to get out to Vermont one day sounds like a great place with great beer. Thanks for sharing your favorite brews. Someone needs to beef up the membership process. I can't believe it's all that hard.